Improv Expands Creativity and Bolsters Imagination. Psychological scientists define creativity as the generation of ideas or products that are both original and valuable. Creativity relies on imagination, the conscious representation of what is not immediately present to the senses. 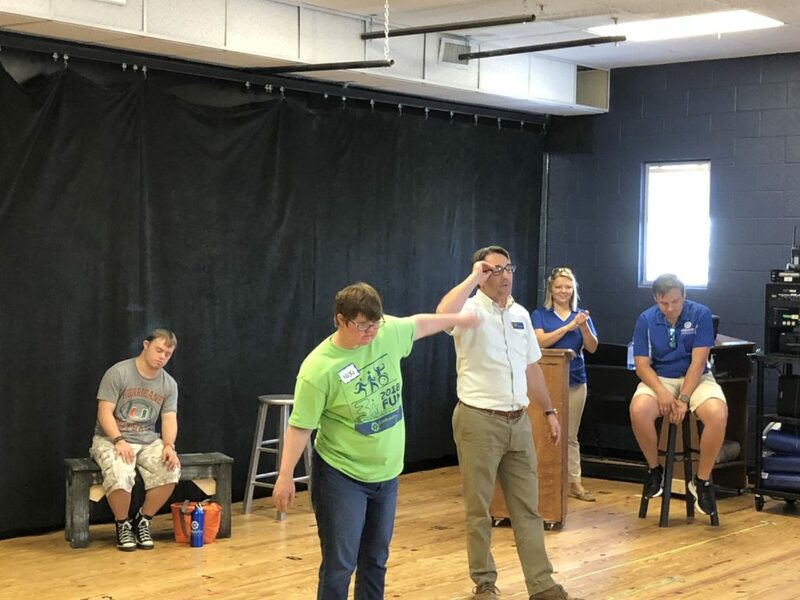 STARability Foundation would like to thank The Naples Players for providing our members the opportunity to cultivate their creativity and expand their imaginations through Improv classes. For those unfamiliar, improvisation in theater is defined as the playing of dramatic scenes without written dialogue and with minimal or no predetermined dramatic activity. Each week, our members are given lessons by award-winning director Craig Price, on how to further their social skills, unleash their creativity, as well as bolster their job interviewing skills. Members are led through acting warm-ups that put them in situations that allow the participants to better use their imaginations. This is done via games, working together in groups, and other role-playing activities, all to have a better understanding of the world around them. Mock job interviews are conducted to help participants with what to expect in the job interview process. Topics covered include decorum, how to best communicate during an interview, as well as questions typically asked during an interview. The mock interviews are unique in that our participants interact with each other as both the interviewer and the interviewee to get a better understanding of how the entire process works. No matter the lesson given at Naples Players, our members are able to take away an increased sense of self-confidence, enhanced public speaking and communication skills, as well as a flourishing sense of creativity and imagination. If your business or organization has mentoring or vocational training opportunities for our Trailblazer members, our Trailblazer Program Director Madison McNally can evaluate opportunities. Please contact Madison@Starability.org, or call 239-594-9007 to find out more.